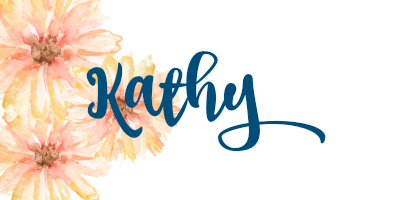 #stampinup #faithfulinkspirations #FF001 I found a new challenge to play in--not only is the challenge new to me, but it's just plain NEW! It's called the Festive Friday challenge and I think it's going to be fun to play along. I can't believe I'm getting in on the ground floor....at the very last minute. So I have to type fast!! The challenge for this fortnight is either Valentine's Day or sequins or both! Since Valentine's Day is over and I'm onto other things, I'm just doing sequins. I'm using the Sale-a-Bration "Happy Wishes" stamp set that I haven't used very often. I started by stamping the floral "happy" from this set in Berry Burst Ink onto the top of a 3-3/4" by 5" Whisper White panel. I added "birthday" just below, also in Berry Burst. I adhered a 3-3/4" by 2" piece of Picture Perfect Party Designer Series Paper to the bottom of this panel. I wrapped a length of Berry Burst Metallic-Edge Ribbon around the panel before adhering it to a 3-7/8" by 5-1/8" Bermuda Bay Card Stock mat. Then I adhered everything to a Berry Burst Card Stock card base. 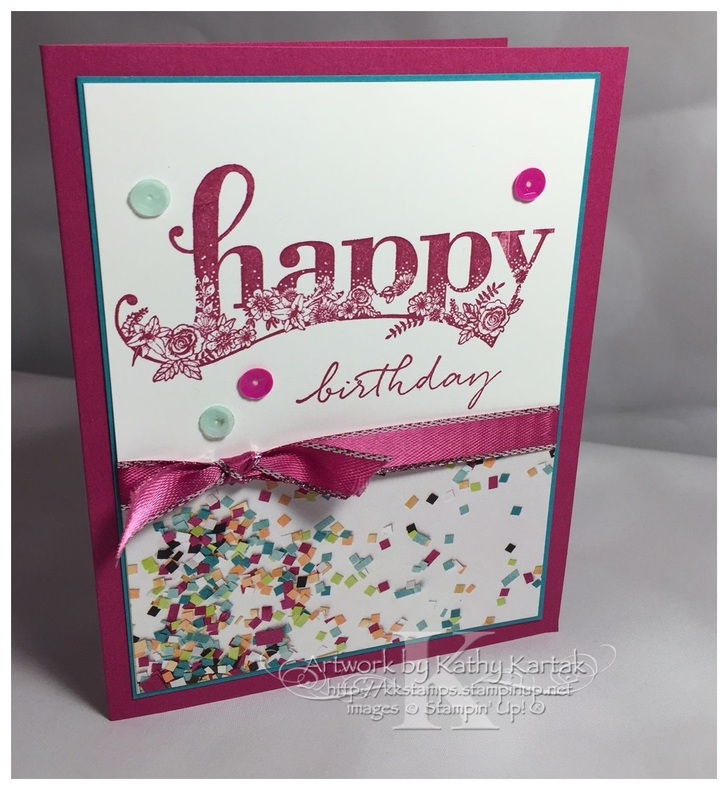 For a little bit of fun--and to play along in the challenge--I added some Tutti-Frutti Adhesive Backed Sequins to finish the card. This card is super quick and easy. You could make a stack of these in no time! !